With its bold design, Edge naturally gets noticed. Edge has always had a bold, powerful look. For 2019, we’ve taken it to a higher level. More confident. More athletic. More accomplished. From the restyled body, grille, hood and wheels to the LED lamps and available 180-degree camera system, Edge is a design masterpiece. 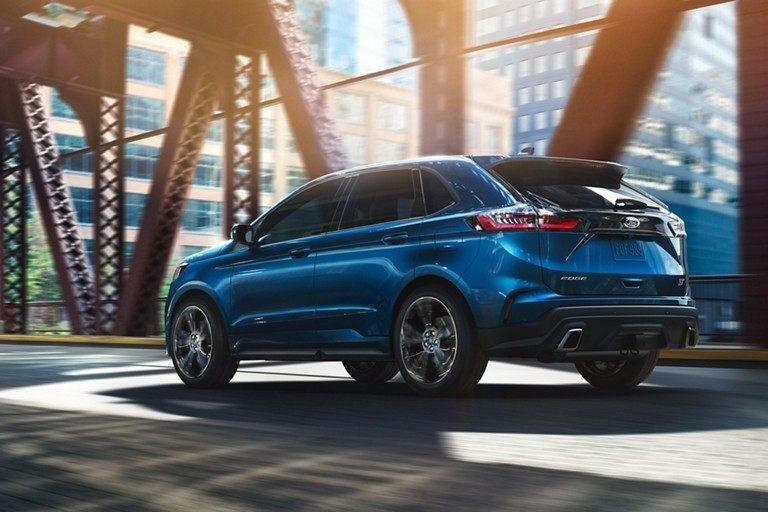 The 2019 Edge delivers all the pickup, horsepower and torque you’ll need to keep you in the fast lane. That’s because it’s powered by our dynamic twin-turbo 2.7-liter EcoBoost® engine that features a light compact graphite iron engine block and aluminum heads. This lightweight powerhouse can crank out an impressive 335 horsepower and 380 lb.-ft. of torque. 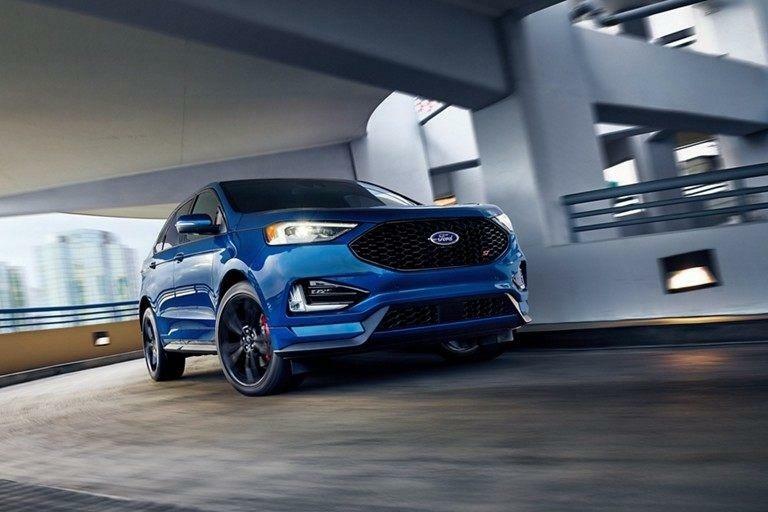 So get behind the wheel of the ST and feel the thrill of a 2.7L EcoBoost® — the most powerful gas V6 engine in its class. 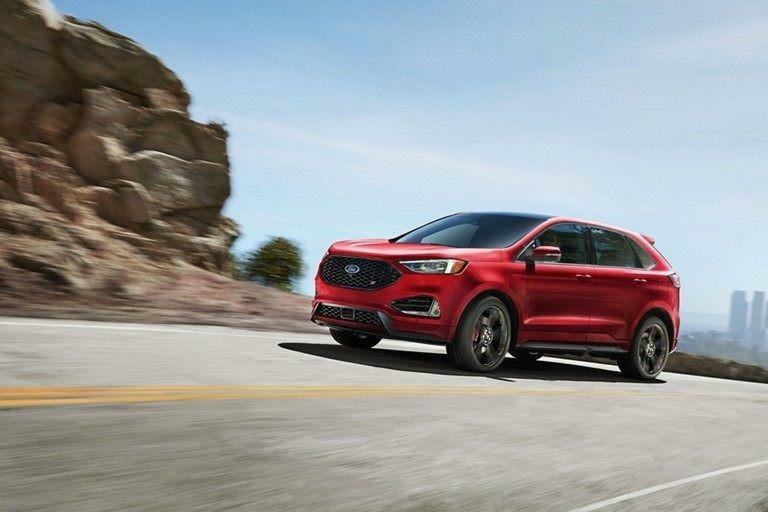 The 2019 Edge offers the most available driver-assist technologies in its class to help give you confidence on the road. With sensors and cameras mounted at specific locations on the vehicle, you can be aware of other vehicles and objects that are beside and behind you. For instance, available enhanced active park assist uses ultrasonic sensors on the front and rear of the vehicle to help you guide your Edge into a suitable parallel or perpendicular parking space. In an increasingly crowded and stressful world, we can all use more confidence. 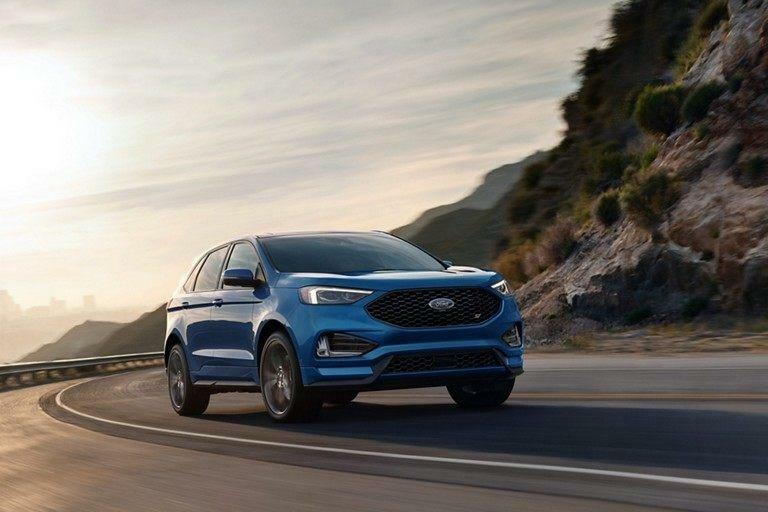 The 2019 Ford Edge offers a suite of smart driver-assist features designed to help you feel confident on the road. 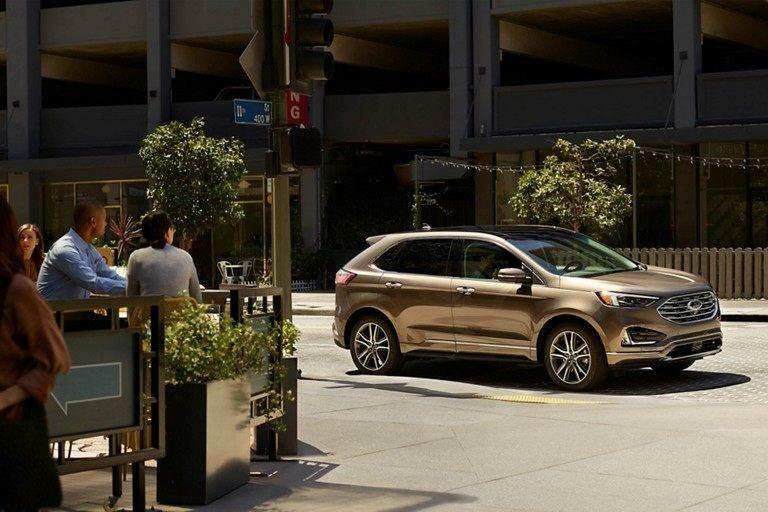 Pre-Collision Assist with Automatic Emergency Braking (AEB) can detect and help you prevent a potential collision with pedestrians and vehicles in your forward path. Available Adaptive Cruise Control (ACC) with Stop-and-Go goes beyond traditional cruise control. If slower traffic detected ahead, your vehicle slows down too, and then resumes the present speed when traffic clears. While using ACC, you can also engage Lane Centering, which scans lane markings to help you keep your vehicle centered.